Firm: Stewart Tilghman Fox Bianchi & Cain, P.A. 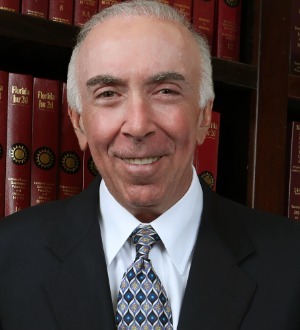 Over the course of four decades, Attorney Gary D. Fox has been dedicated to representing individuals harmed due to cases involving medical malpractice, product liability, and other personal injury matters. He has helped secure verdicts and settlements that exceed $1 million, earning him countless recognition from professional legal organizations. He has been selected as Trial Lawyer of the Year by the American Board of Trial Advocates, Florida Chapters, an invitation-only group. Not only that, but he was represented countless high-profile clients in famous cases, helping them reach the successful results they desire. Attorney Fox holds positions in countless organizations, including the Florida Justice Association, the International Society of Barristers, and the American Association for Justice. He has a tireless approach, always working to fully understand the goals of each client he represents, then providing them with the advocacy they need to hold the negligent parties accountable for their actions or wrongdoings. If you have been injured as a result of an event caused by negligence, you deserve to have strong representation. This is exactly what you will find with Attorney Fox on your side.